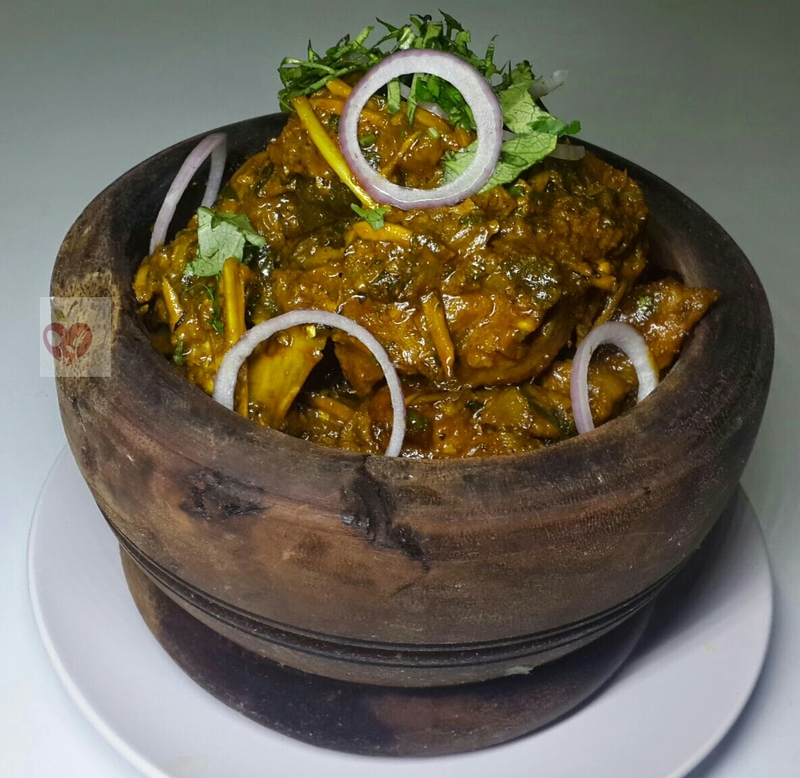 Nkwobi is a happy hour meal. Busy as Lagos is, it has an interesting night life. After the stress of the hustle and bustle of the day, people seem to find a way to unwind after. Hence you’d find a lot of out door cool/happy hour spots and night bars scattered across the metropolis of Lagos. 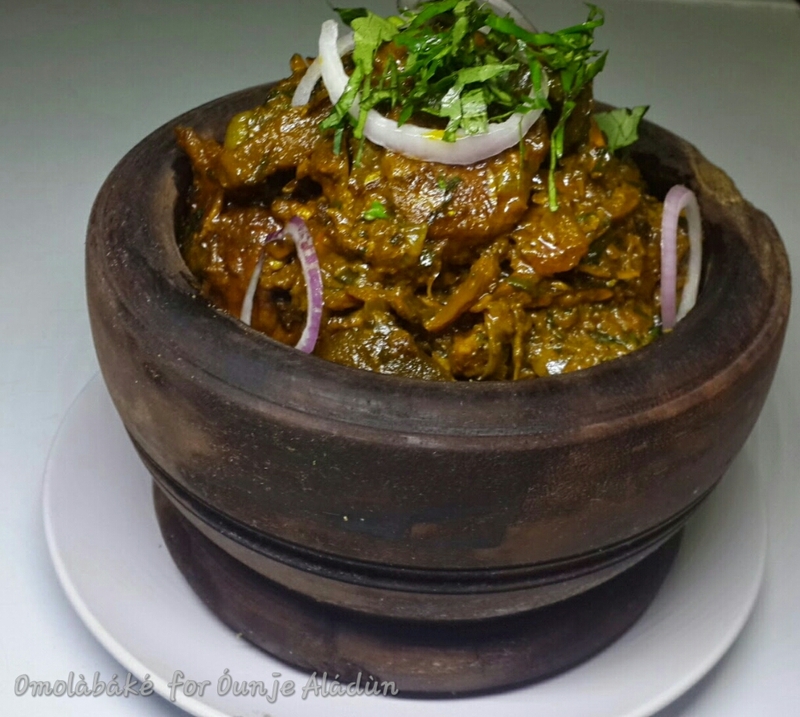 The city is a sort of melting pot for people of different ethnicities and culture across Nigeria, thus you’d find the influence of different cultures in the cuisine. Popular amongst them is Isi Ewu, Nkwobi, Point and Kill Pepper, Asun, Suya which feature prominently on the menus of most outdoor (indoor too) night bars and cool spots. There seems to be a sort of marriage with alcohol and spicy food, which might be responsible for there popularity. Personally I’ve found spicy food to be my alcohol antidote, once i start to feel light headed i hit it with something extra spicy. • 20cl (200ml) Palm Oil or Palm nut Cream. – Wash and season your cow foot along with stock fish, and cook. – Add the bouillon cubes (crushed) and the chunks of onion. – Add a small quantity of water and start cooking at medium heat till well cooked. Add just enough water to prevent burning as you cook. There should not be any stock (water) in the pot when the meat is done. If the meat is tough, I’d recommend you cook with a pressure pot or just cook for longer. I prefer to use a pressure cooker to cook the cow foot as it can be tough. – While the meat is cooking, pour the palm oil or crean into a clean dry pot. * If you are using palm nut cream, skip the next 3 steps. – Mix Potash with some water to dissolve and seive. Pour in the potash mixture (sieved) into the oil. – Stir with a wooden spatula as you pour the potash. You’ll notice the palm oil begin to curdle and turn yellow. – Keep stiring till all the oil has turned yellow. – If you are using Palm nut cream ensure there is no water contained in the cream. To achieve this you can either use the canned ones or, after extracting your cream from the palm nuts, set it aside for the cream to collect at the top or put in the fridge for at least 30 minutes for the cream to set. – Heat up the cream for about 5 minutes and proceed to the next step. – Add the ground crayfish, pepper and ehu seeds. Stir very well till they are all incorporated. 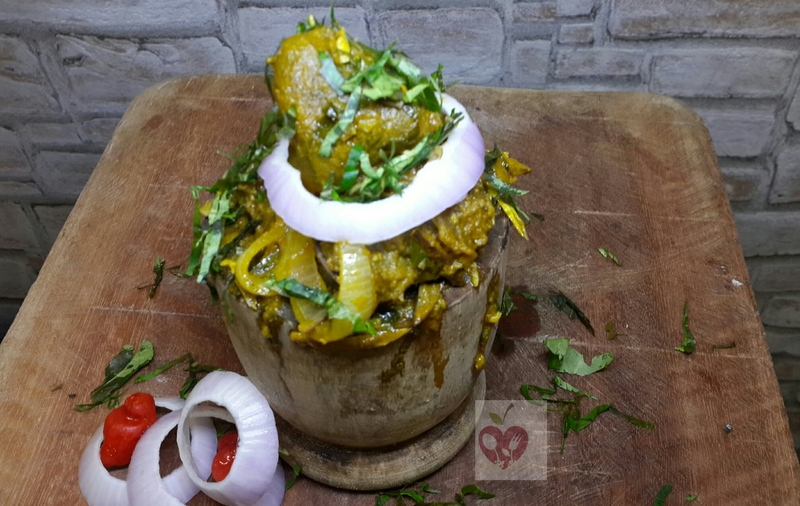 – Add the well done meat and Ugba to the palm oil paste and stir very well with the wooden spatula. – Leave it on heat till the Soup is piping hot, stirring all the time to make sure it does not burn. – To prepare the garnish, cut the onions into rings and cut the utazi into long thin slices. Normally Nkwobi is served alone accompanied with alcohol or soft drinks but for some reason I also enjoy pairing it with white rice. Busy as Lagos is, it has an interesting night life. After the stress of the hustle and bustle of the day, people seem to find a way to unwind after. Hence you’d find a lot of out door cool spots and night bars scattered across the metropolis of Lagos. 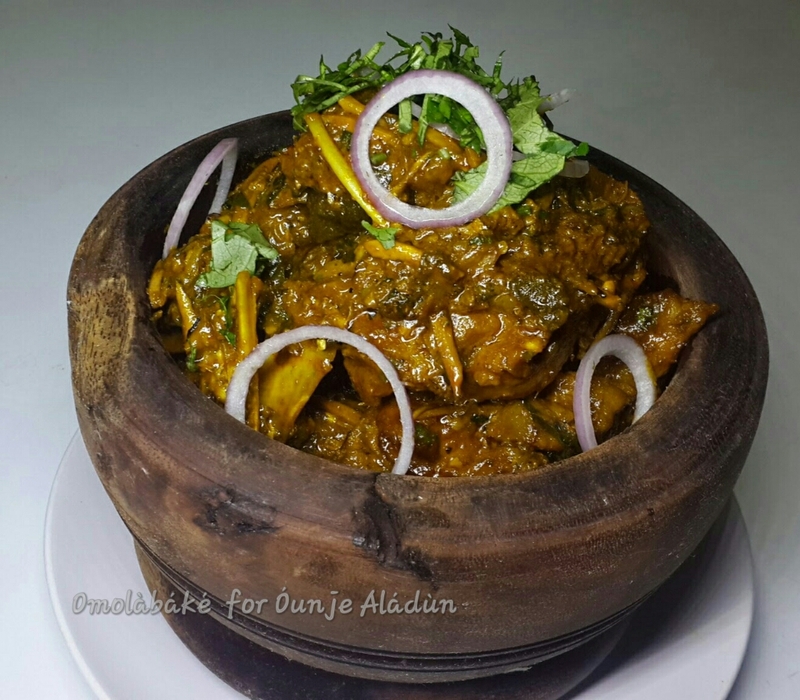 The city is a sort of melting pot for people of different ethnicities and culture across Nigeria, thus you’d find the influence of different cultures in the cuisine. 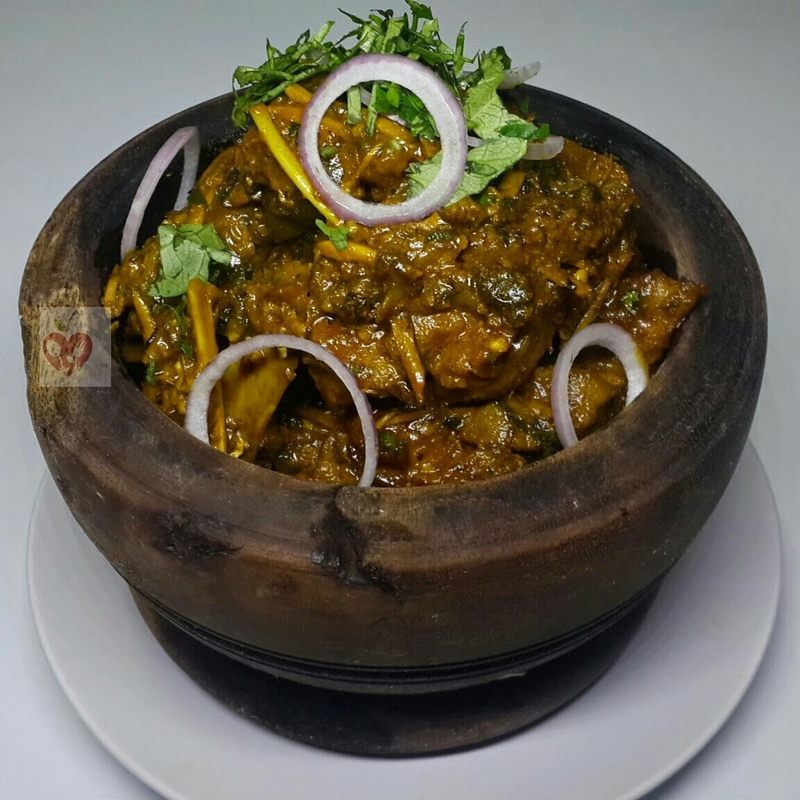 Popular amongst them is Isi Ewu, Nkwobi, Point and Kill Pepper, Asun, Suya which feature prominently on the menus of most outdoor (indoor too) night bars and cool spots. There seems to be a sort of marriage with alcohol and spicy food, which might be responsible for there popularity. 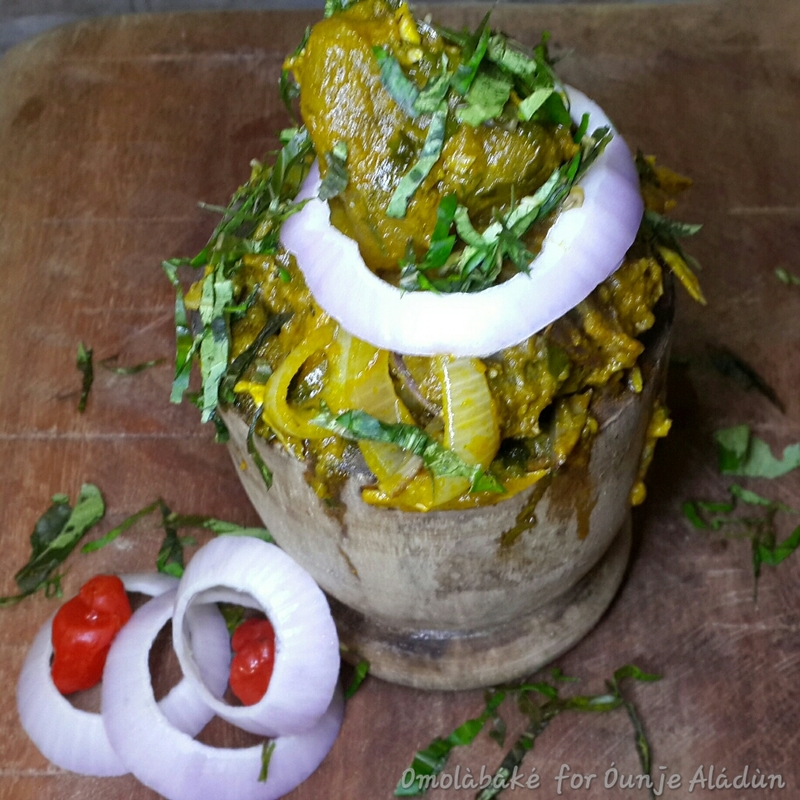 I’d be sharing the recipe for Nkwobi and Isi Ewu in this post. The recipe for both is the same but for the meats used. I have often used the recipe I found on allnigerianrecipes.com, but I have a few tips. There is an on going argument as to how safe it is to consume Kaun ( potash) or the local potash. I figured that the idea behind adding Kaun is to get the palm oil to alter in colour, cuddle and thicken, pretty much like palm nut cream. Right? So I went for palm nut cream instead and it worked, turned out really great. – Wash and season your meat along with stock fish, and cook. – Add a small quantity of water and start cooking at medium heat till well cooked. Add just enough water to prevent burning as you cook. There should not be any stock (water) in the pot when the meat is done. If the meat is tough, I’d recommend you cook with a pressure pot or just cook for longer. Normally Nkwobi or Isi Ewu is served alone accompanied with alcohol or soft drinks but for some reason I enjoy pairing it with white rice.